Despite significant advances in the diagnosis, prognosis and treatment of breast cancer, tumor recurrence and resistance to therapy are lingering problems that continue to drive morbidity and mortality. Resolving these problems demands a better understanding of breast cancer biology that is often complicated by the fact that breast tumors are not homogenous structures. Tumor cells within a given tumor differ in morphology, karyotype, proliferative capacity, expression of cytogenetic markers, metastatic ability and sensitivity to therapeutic agents, features that are referred to collectively as tumor heterogeneity. 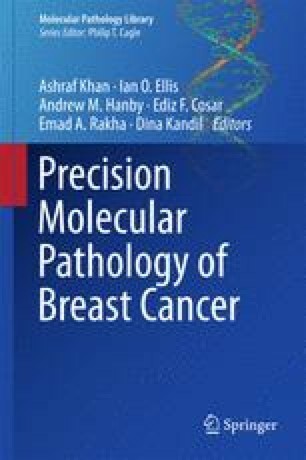 Tumor heterogeneity is not a unique feature of breast cancer; almost all other cancers (both solid tumors and leukemias) are heterogeneous. The most convincing evidence supporting tumor heterogeneity is that all cells within a tumor are not capable of initiating a new tumor when transplanted into immunocompromised mice as well as into syngeneic recipients. To understand the cause of tumor heterogeneity, it is important to understand the genesis of cancer. Two major hypotheses have been put forward to explain the process of tumorigenesis: the clonal evolution model and the cancer stem cell (CSC) model. The clonal evolution model states that tumor cells with a growth advantage (acquired by random mutations over time) are selected and expand, with cells in the dominant population having similar proliferative capacity. Conversely, the CSC model states that tumors harbor a small population of cells that have stem-like properties, proliferate extensively, self-renew and drive the process of tumorigenesis. These two models are not mutually exclusive because CSCs themselves undergo clonal evolution. In this review, we focus on the CSC model of breast tumor propagation and its implications. Work in the authors’ laboratory is supported by NIH Grant CA168464.